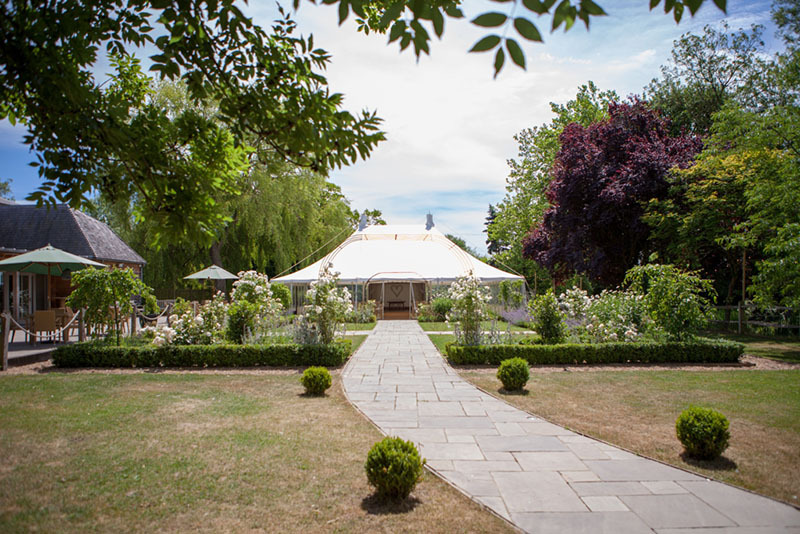 Houchins Wedding Venue is just 1 mile east of Coggeshall, with direct access from the A120. It is approximately 15 minutes from Colchester and Braintree, 35 minutes from Stansted Airport and 1hr 20 minutes from Central London. 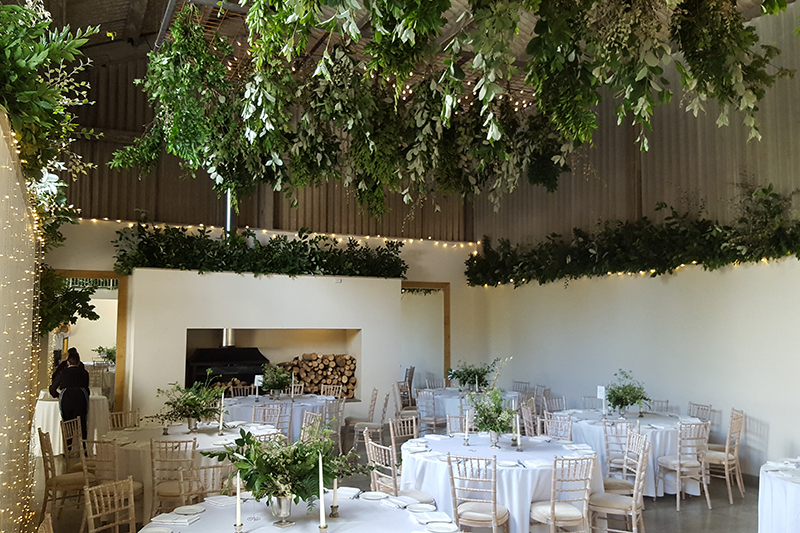 Houchins comprises a stunning farmhouse for guests to stay and a modern, airy and sympathetically restored barn space for civil ceremony, reception, dinner and dancing. 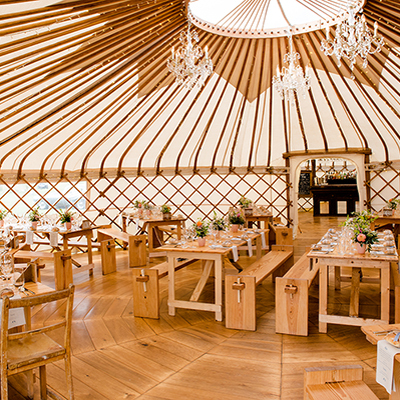 This exclusive private use wedding venue can host Civil Ceremonies, both indoor and outside, for up to 110 guests. 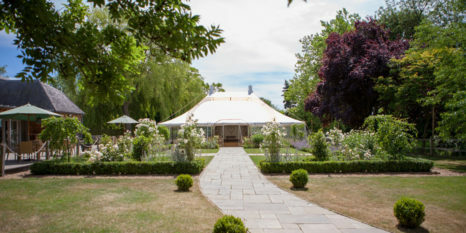 There is a rather stylish marquee set within the manicured gardens and reception parties can accommodate 150 guests. If a woodland wedding is your dream then tucked away behind the moat and amongst the trees is a perfect spot for you to say ‘I Do’. This is an unlicensed area so a celebrant-led ceremony or blessing would be perfect in this relaxed, rustic space with the luxury of the full Houchins experience. The farmhouse accommodation, which overlooks the barn, is Grade II listed and can sleep up to 16 (including The Lodge) of your closest friends & family. All the rooms have been most elegantly refurbished and have a wonderful stylish appeal with natural fabrics and wonderful light. Previous guests of the historic, listed farmhouse are reputed to include Oliver Cromwell and silent film siren, Tallulah Bankhead! Standing adjacent to the house The Honeymoon Lodge offers complete privacy and added luxury for our couples. The Lodge is south facing with a light and airy bedroom suite boasting a king size bed and walk-in shower. 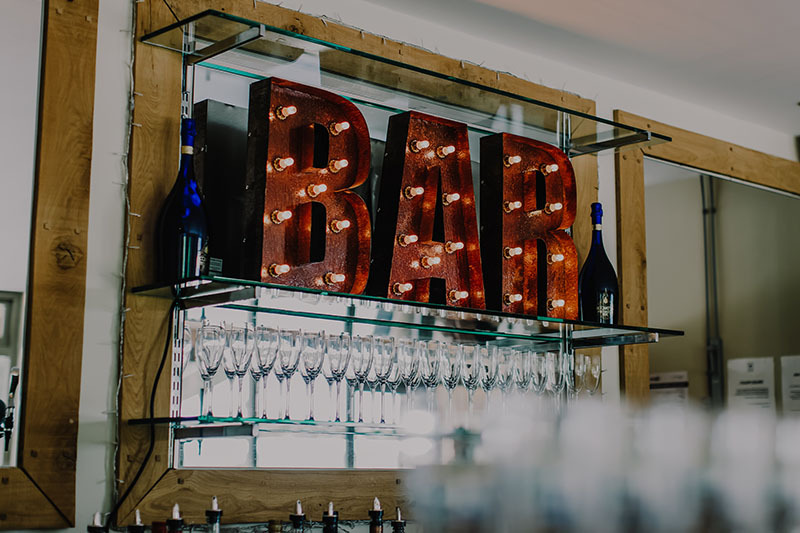 Beautifully appointed the Lodge provides the perfect setting to unwind after your wedding celebrations. There are so many photographic opportunities at this Essex wedding venue, just take a peek at the gallery to see! 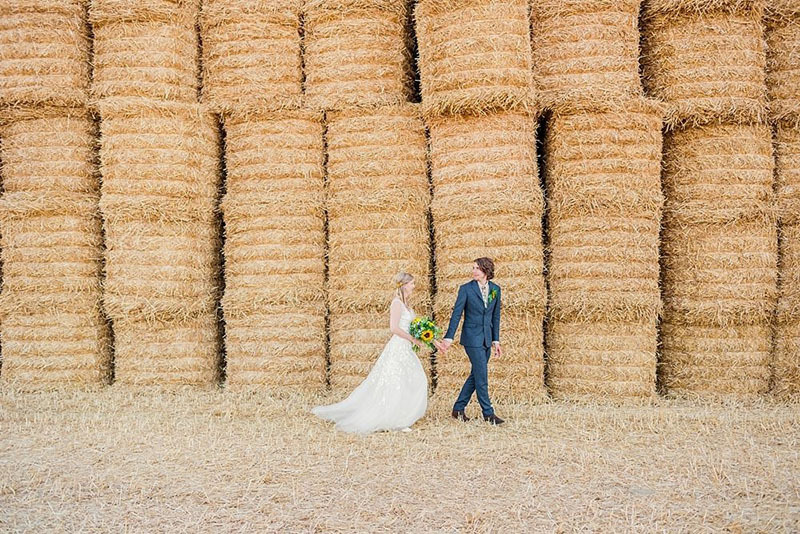 Up to £1,000 OFF new bookings for 2019 weddings! Save £1,000* OFF the price of your venue hire on remaining weekends in 2019. Book your wedding for any remaining weekend dates (Friday, Saturday, Sunday & BH Mondays) in 2019 to save £1,000! * Subject to availability, terms & conditions apply.